Published: Jan. 20, 2015 at 10:58 a.m. Updated: Jan. 20, 2015 at 12:10 p.m. Questions abound as to whether an aging Peyton Manning will fit inside Gary Kubiak's play-action, boot-heavy offense. At least one Broncos running back, though, can't wait to get rolling with his new coach's scheme. "I have known about his system for a while, and what he accomplished," C.J. Anderson said of Kubiak, per The Denver Post. "One cut downhill and go get it. It fits me and the offense well. It's always been successful. He knows the team we have and what we can do. I can't wait to get started working with him." Anderson's enthusiasm is well-placed. Kubiak operates a one-cut, run-heavy attack that helped journeyman Justin Forsett blast away for a career-best 1,266 yards this season. His protégé, Kyle Shanahan, used the same scheme to improve Cleveland's run game from a league-worst four rushing touchdowns in 2013 to 17 this season, fourth most in the NFL. 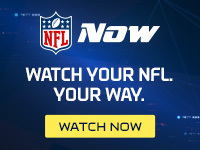 As for Manning, former Broncos quarterback Jake Plummer sees hope for the aging passer because of the connective tissue Kubiak's playbook shares with the Colts offense Peyton ran for years. Of course, Manning has yet to decide about returning next season, but there is little doubt that Anderson -- heading to the Pro Bowl -- will be a centerpiece. After assuming lead-back duties, Anderson's 648 yards and eight rushing touchdowns since Week 12 led all runners league-wide. He ran with power and vision, something we expect him to repeat in 2015.